Experimented yesterday with a glass of seltzer water, some colored glass beads, a black background and an overhead reading light. Had a few interesting results... what do you think? I think this is fabulous. I love the bubbles, the glass, everything about it! Neat work, very creative! The mix is just great! Awsome Ed, will have to pu some seltzer water and give this a whirl. I love it!! I never think to 'create' photo ops..I tend to mostly ( not always ) shoot what I see. I love this creativity and your colors and the sharp bubbles are all wonderful! I absolutely love it! 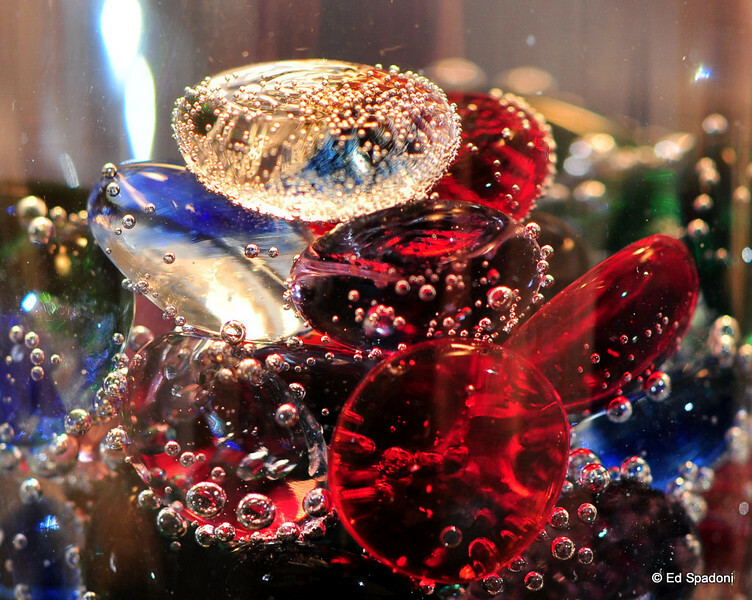 Fantastic colors and light -- wonderful details on those bubbles too! WOW - what a great idea Ed, and what a fabulous outcome. This is amazing!!!! I love the colors & the bubbles. Well done. Well I think it's pretty darn cool! Makes me want to give it a try.